Since 1982, our family owned dealership has been serving customers in the Glendale area. We love working in SoCal, and we want to help you get into your next BMW or pre-owned vehicle. Our friendly staff is always upfront and honest with you. We want you to have a transparent car buying experience whether you are shopping in our Glendale dealership or if you are simply browsing online. We will show you where our numbers come from, and we will tell you everything that you want to know about the car buying process. This team believes that the customer is always right. They want to help you through every part of the car buying process, and they are always ready to provide you with individual attention so that you get a car shopping experience that is custom tailored to you. It is this attention to our customers that allows us to attract people from all across Los Angeles County, Orange County, and the rest of SoCal. So if you are from Los Angeles, Alhambra, Beverly Hills, Burbank, Pasadena, or any of the surrounding areas, you should come down to Pacific BMW and see everything that we can do for you. BMW is different from the other cars out there. These are driver’s cars. Vehicles that always deliver when it comes to performance, handling, and luxury. This is what a car was meant to be. If you want to see what’s so special about a BMW, we would be happy to show you right where in Glendale. We have a complete inventory of BMW vehicles including models like 3 Series, 5 Series, 7 Series, X5, X3, and more. You can test drive any one of these models right here or you can browse through them all online and do all your research right on our website. We are always happy to help your customer find the ideal vehicle. You can even shop by color. We realize that sometimes the ideal vehicle isn’t new. Sometimes you need a pre-owned vehicle. We have a variety of manufactures in our pre-owned inventory, but a vast majority of the vehicles we offer our BMW vehicles. Not only do we have a huge selection, but many of our pre-owned BMW models are Certified Pre-owned. We also have a full selection of Factory Demo vehicles. 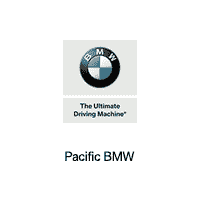 If you want a BMW, whether it’s new, pre-owned, or even certified, Pacific BMW is the best place to start.